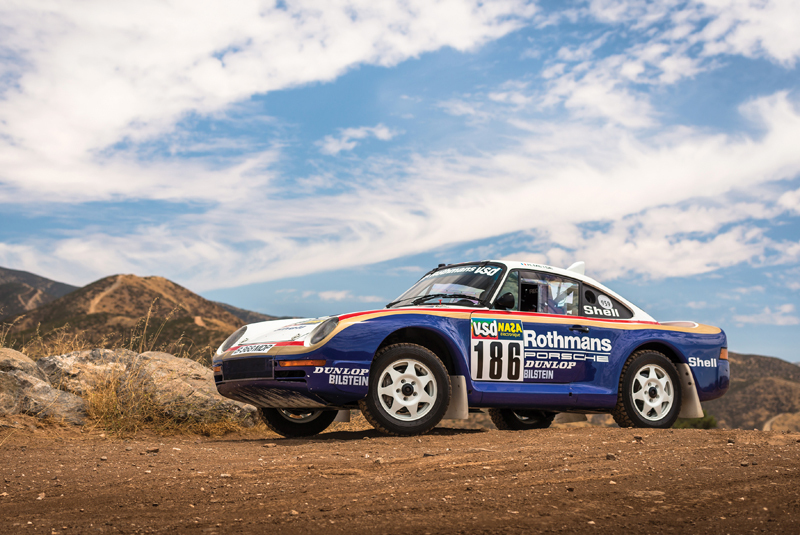 RM Sotheby’s is set to host a single-marque Porsche 70th Anniversary sale at the Porsche Experience Centre, Atlanta on 27 October. 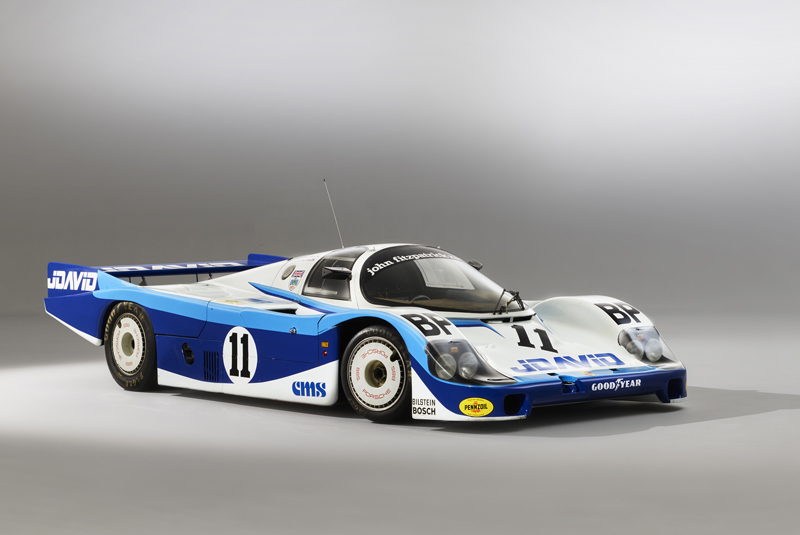 A 1983 956 carrying a pre-sale estimate of $5,250,000 – 6,750,000 heads an impressive entry list. Chassis 956-110 was delivered new to John Fitzpatrick Racing, initially running in the iconic JDavid livery in which it presents today. 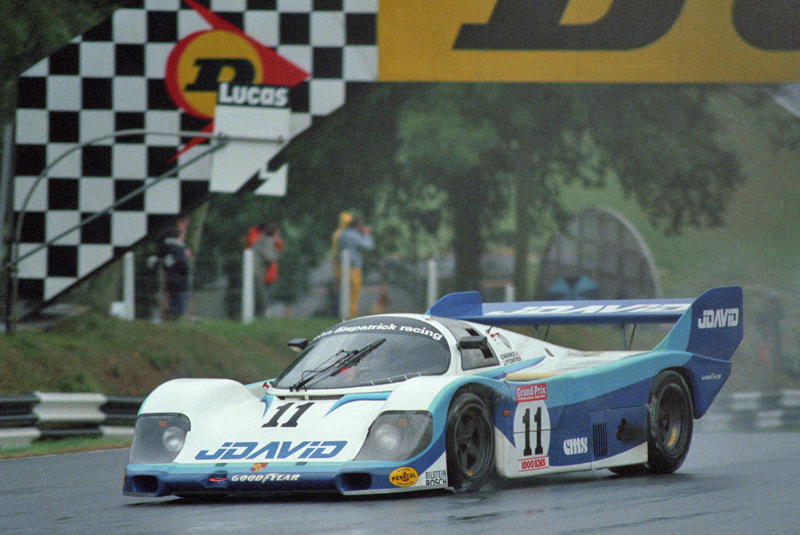 Its well-documented career included a fine win for Fitzpatrick and Derek Warwick at the rain-sodden 1983 Brands Hatch 1000km – defeating the works Rothmans 956s – plus appearances in the 1983 and 1984 24 Hours of Le Mans. Other competition cars include a 1973 911 Carrera RSR 2.8 which finished 4th overall in its inaugural race at the 12 Hours of Sebring (estimate $2,400,000 – 2,800,000); an ex-Ted Field/Danny Ongais 1980 935 K4 (estimate $850,000 – 1,100,000); and a 911 Carrera RSR 3.0 that was driven by Hartwig Bertrams to claim the 1975 European GT Championship (estimate $2,000,000 – 2,200,000). During 1985 and ’86 Porsche produced seven development 959 rally cars, of which the factory retained five. 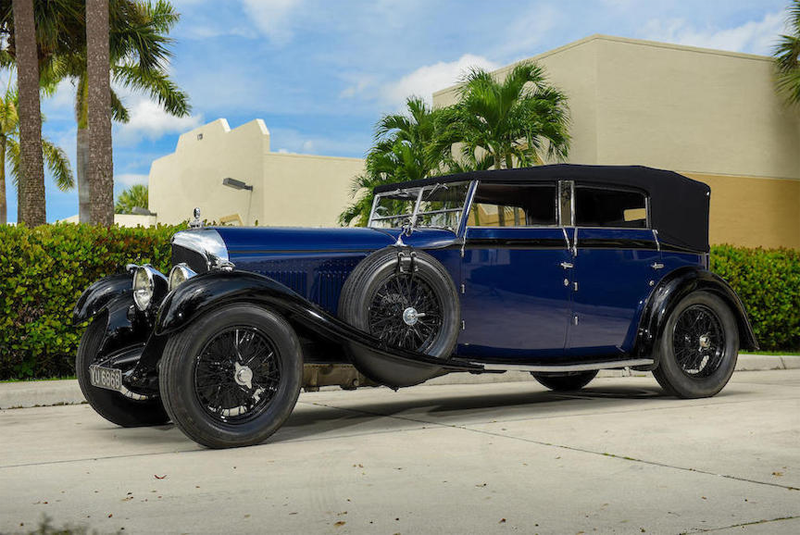 RM Sotheby’s will offer the sole remaining complete example in private hands (the other having been destroyed and sold as a bare shell) with a guide of $3,000,000 – 3,400,000. Chassis 010015 won two stages of the 1985 Paris-Dakar Rally in the hands of the 1984 winners Dominique Lemoyne and René Metge before a broken oil line forced its retirement. 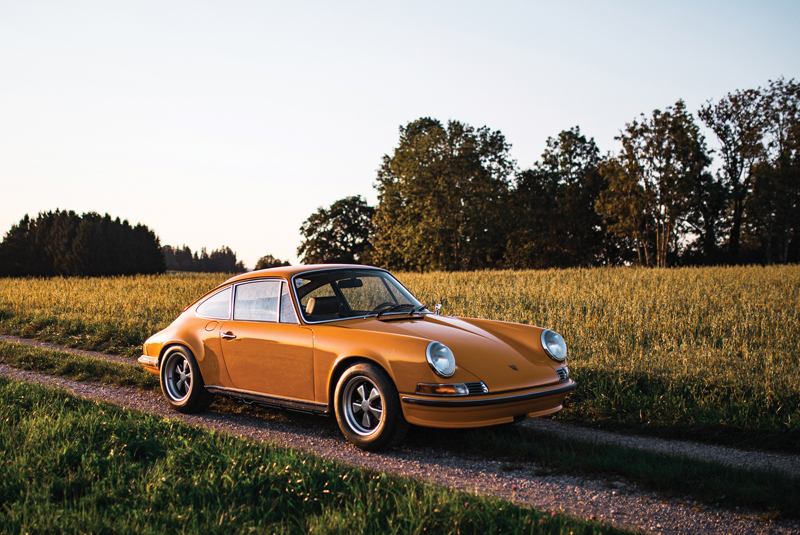 Another prototype going under the hammer is a 911 Carrera RS 2.7 which featured on the sales brochure for the model in 1972 (estimate $1,250,000 - $1,500,000. Chassis 0012 – the second example to be built and one of only four prototypes – was believed to have been gifted to its first owner, the Austrian racing driver Helmuth Koinigg, after regular production ceased in September 1973. Visually, the most notable differences over the production versions are the absence of the ‘duck-tail’ rear spoiler and chrome trim around the indicators in place of black. 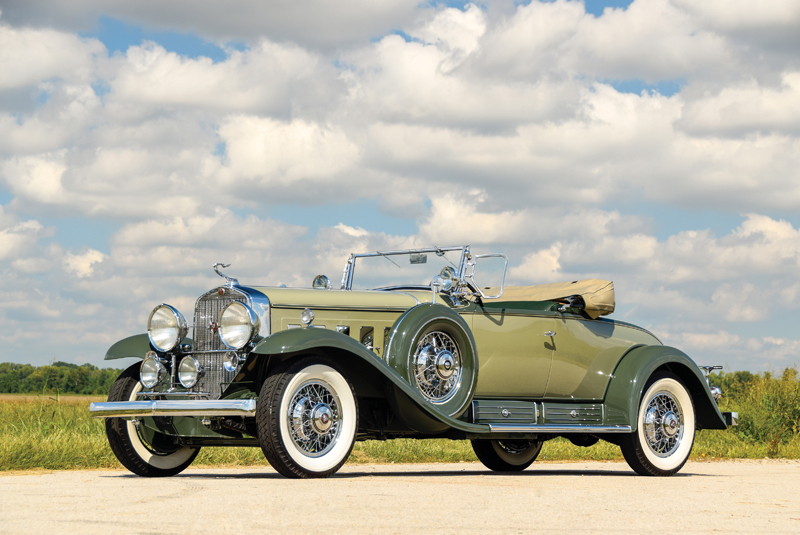 Bonhams returns to the Philadelphia Simeone Foundation Automotive Museum for its annual auction with an inventory rich in pre-war European and American machinery. The catalogue cover star – a 1927 Bentley 6½ Litre All-Weather Touring Car – was previously owned by the privateer racing driver Hugh Curling Hunter, and is listed at $800,000 – 950,000. 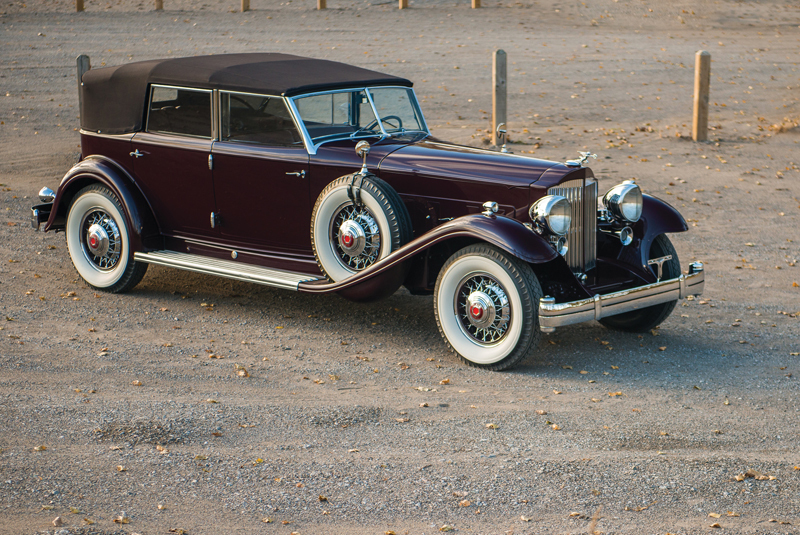 RM Auctions’ two-day Hershey sale from 11-12 October oozes 1930s style. 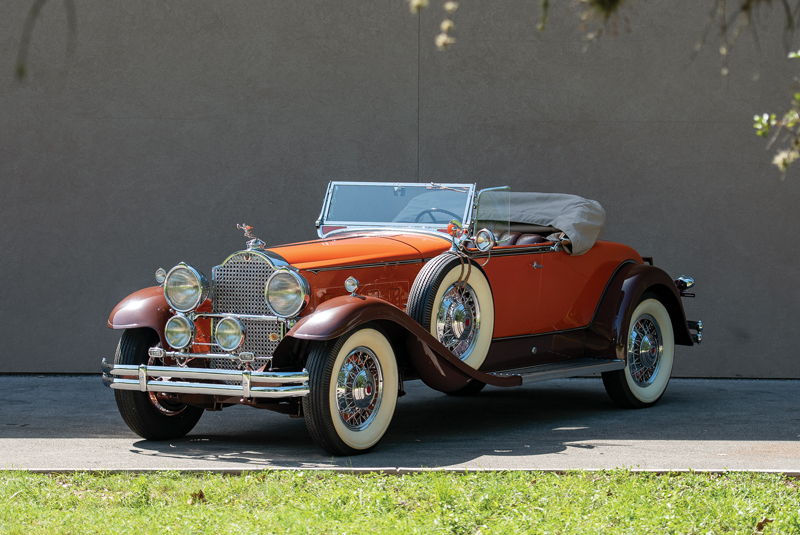 An elegant 1932 Packard Twin Six Individual Custom Convertible with Dietrich coachwork which formed part of the Bahre Collection is estimated at $600,000 – 750,000; a 1930 Cadillac V-16 Roadster by Fleetwood is $400,000 – 450,000; while a 1931 Packard Custom Eight Roadster from the Richard L. Burdick Collection, resplendent in period-correct Coral and Russet over brown leather, has a guide of $180,000 – 240,000.